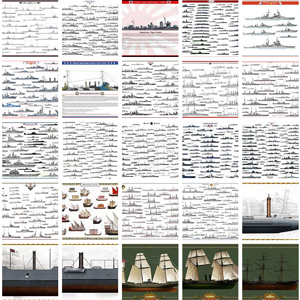 Russia’s second and last class of dreadnoughts was not a simple “repeat” of the Ganguts. Constrained by a depleted budget, they were reduced, slower, but better protected versions made for the Black Sea fleet, while the Gangut were all based in the Baltic, facing the might of the Hochseeflotte. Due to the war breaking out, completion was delayed and the ships were soon caught in the Russian Revolution, changing hands before disappearing in the civil war maelstrom. 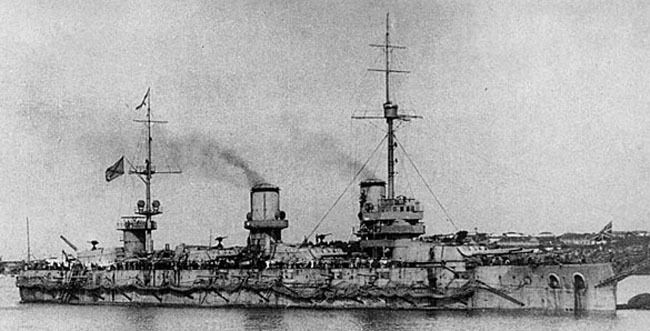 This second class of Russian dreadnoughts was, in order to gain time, closely derived from the Gangut. That way, a number of previous defects were avoided. For a time (early 1911) a type of battleship capable of 22 knots and armed with 355 mm guns were designed in order to deal with the Resadiye class Turkish battleships then ordered from UK. But the Admiralty rejected this proposal to concentrate on a type of ship closer to the Gangut, with an artillery of a higher caliber, and better protection. The hybrid design of the Gangut was abandoned and the solution, to contain the tonnage, was to restrict dimensions. Obukhov arsenal was unable to develop in time the expected 355 mm guns, so it fall back to the tested 305 mm. 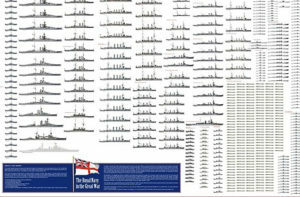 But as a result, even with a generous battery of 12 guns, the broadside was less effective and out of reach of most contemporary dreadnoughts. As expected, the armor was strengthened considerably. 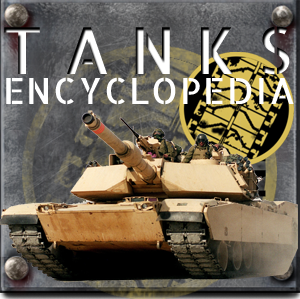 The belt was doubled, the turrets, blockhouse, barbettes, main deck received from 20 to 100 mm of additional armor. In the end, the three Mariya, planned for the Black Sea fleet and built in Nikolayev (Russud sponsored and supported by John Brown), displaced 22,600 tons standard versus 23,360 for the Gangut, thanks to their lenght reduced, although their width was increased a tad. The hydrodynamic qualities of the hull were however less impressive and because of this top speed was lower at 21 knots versus 23. 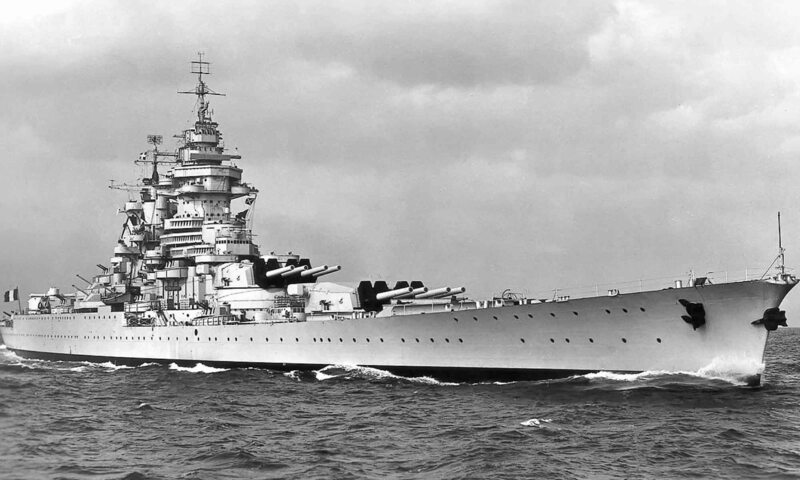 This was also due to a smaller machinery space, therefore much lower output (26,500-27,000 hp versus 42,000 hp). The disposition of the secondary artillery and composition had changed to face criticism faced by the Gangut class. A 130 mm/55 in well protected casemates were adopted rather than the previous 120 mm of the Gangut judged to be too weak against standard 6-in of the time. Finally, it was thought for a moment to fit lattice poles, but the idea was abandoned very quickly. In general, budgets allocated to the Gangut had severely depleted further spending, and restricted the Admiralty’s possibilities. The Mariya have been “cheap dreadnoughts” for the black sea fleet based in Sevastopol and this sacrifice was balanced by the weak capabilities of an aging Turkish navy by then. Colorized photo by Hirootoko JR and the original – Imp. Mariya in Sevastopol, 1916. These three ships were started on October 30, 1911, launched in November 1913 (Imperatritza Mariya), April 1914 (Volya, ex-Imperator Alexander III), and June 1914 for Imperatritsa Ekterina II Velikaya (Ex-Ekaterina II). 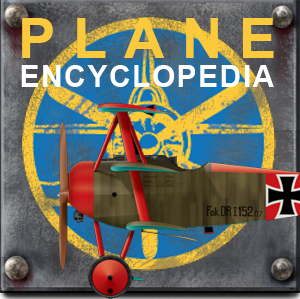 They were completed respectively in July and October 1915 (Mariya and Ekaterina) and June 1917 for the Volya. The latter was renamed while in completion because of the February revolution. The first two gave the Black Sea Fleet a clear edge over to the Turkish fleet. They sortied for shelling operations of the Turks and Bulgarian coastal forts while preventing any Turkish fleet incursion from the Yavuz and Midilli in particular. 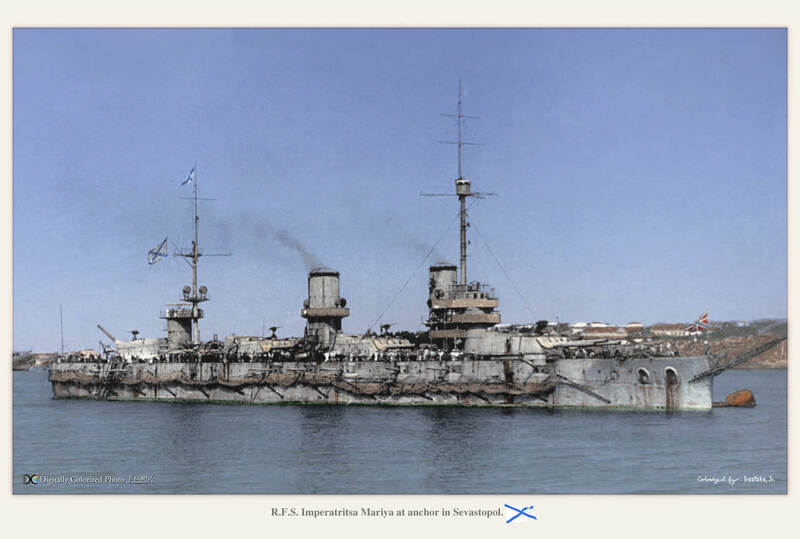 The Imperatritsa Mariya was very badly damaged by the explosion of a magazine on 20 October 1916. She sank in the harbor and considered irretrievable. Her hull was later refloated only to be scrapped in 1922. 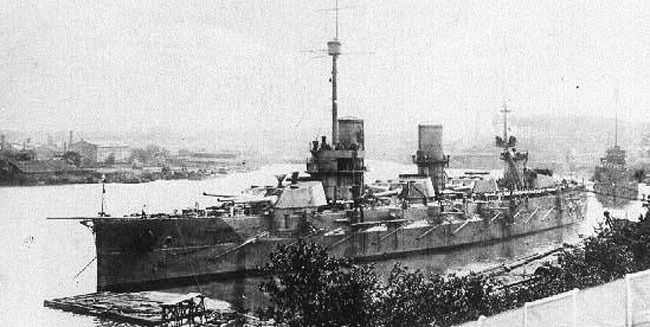 Ekaterina Velikaya was renamed on 29 April 1917 Svobodania Rossiya. Later, she fell into the hands of the Bolsheviks and left Sevastopol threatened by German forces, sailing towards Novorossiysk in April 1918. When the latter city fell in turn, the destroyer Kerch torpedoed the battleship to avoid her capture. The Volya, on the other hand, soon raised the Ukrainian flag, but the Bolsheviks forced her to leave Sevastopol for Novorrossisk. She returned two weeks later, only to be seized by German troops. The Volya was back into service and made only one sortie in the Bosphorus before being captured after the capitulation, by the British. 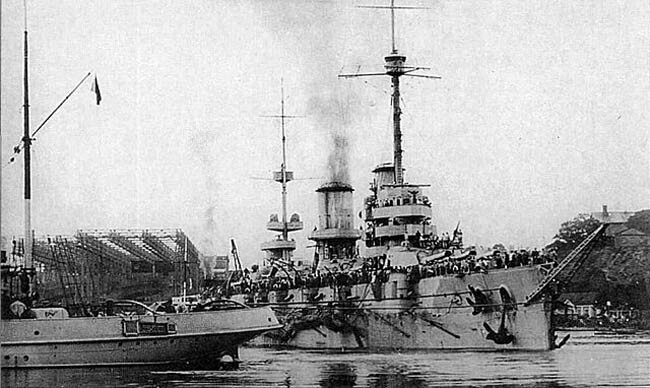 The latter then transferred the dreadnought to Izmid to avoid capture by the “Reds”. Se joined De Facto the “white” fleet of Admiral Wrangel in October 1919, renamed General Alekseev. She was very active until the capture of Crimea. She was broken up under French control in 1936 after being sold in 1924. 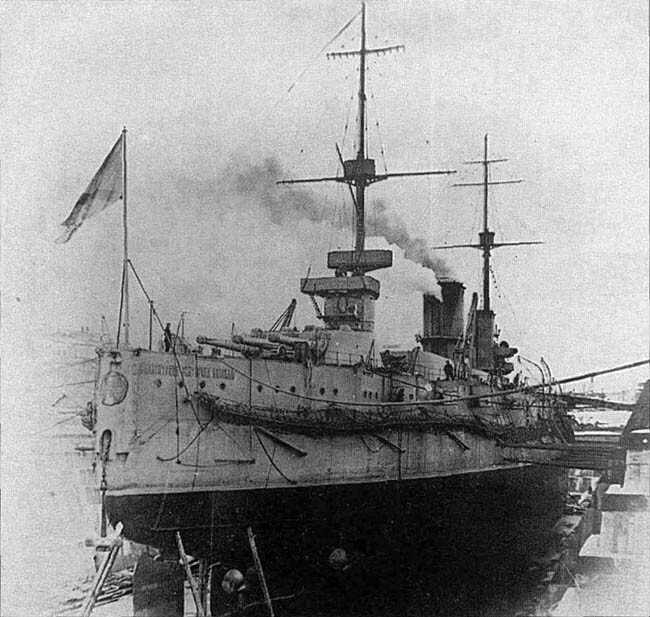 A fourth ship was ordered for the Black Sea fleet at Nikolayev’s Russud shipyards on January 28, 1915. It was the Imperator Nikolai I. It was derived from the Mariya class, but much larger (188 meters long overall by 28.9 wide and 27 300 tonnes light) and has a revised protection up again, increasing by almost 50% on many key points. Named falsely Ivan Grozniy, He was well launched on October 18, 1916, but never completed. Its construction was delayed when the announcement was made of the cancellation of the order of a battleship by Turkey in Brazil. After the revolution of February she became the Demokratiya, and in 1918 she was captured by the Germans in drydock. Later it was the British who seized the hull, and blew it up to prevent it from falling to the hands of the Reds at the end of 1919. The wreck was dismantled in 1923. Propulsion: 4 shaft Parsons turbines, 20 Yarrow boilers, 26,500 hp. 21 knots.